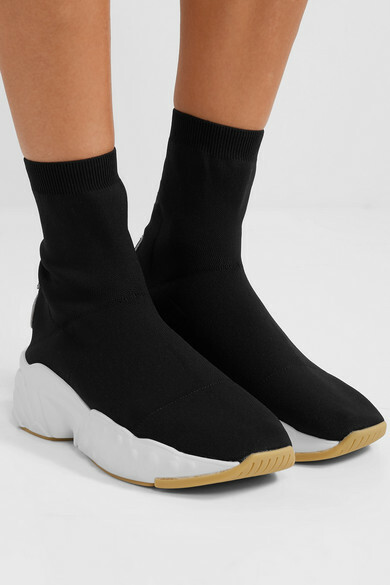 Sock boots were all over the runways last season, and now it's all about sneaker pairs. 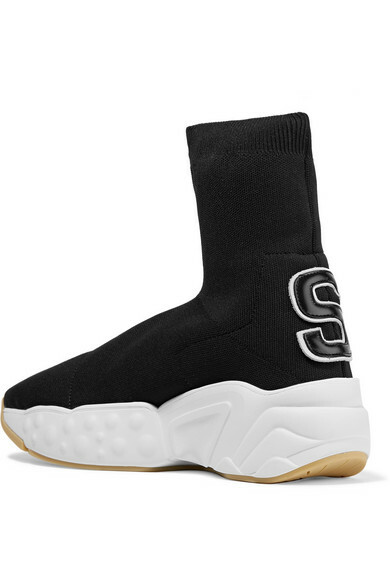 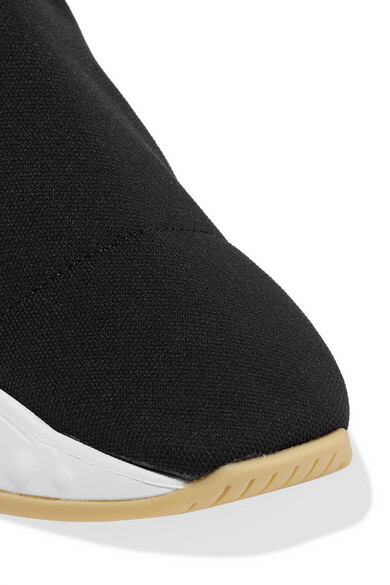 Made in Italy from a close-fitting black stretch-knit, Acne Studios' version is set on a bouncy white foam sole with a gripped base. 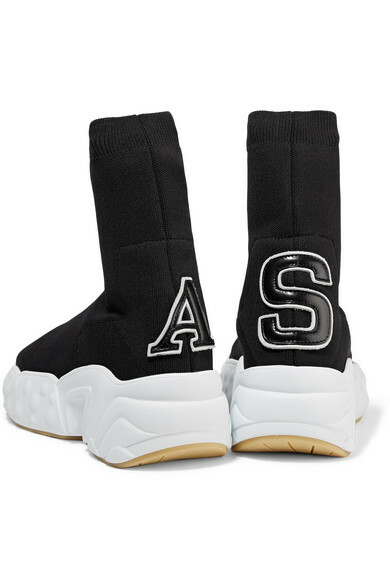 The brand's initials in varsity-style leather lettering are appliquéd at the back. 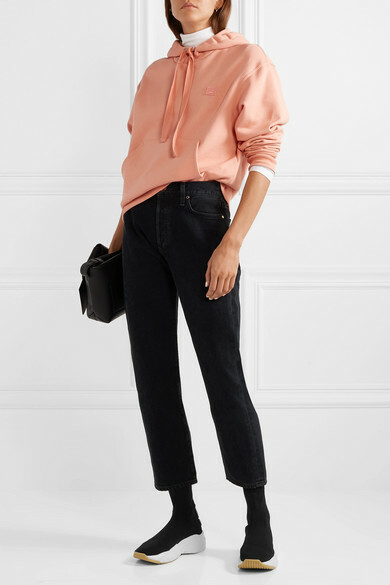 Shown here with: CALVIN KLEIN 205W39NYC Bodysuit, Goldsign Jeans, Acne Studios Hooded top, Acne Studios Shoulder bag, Jennifer Fisher Earrings.